Ships Tuesday, 04-23-2019. Choose USPS Priority for delivery in 3-5 days. Our Oklahoma notary stamp uses the approved layout for the State of Oklahoma. 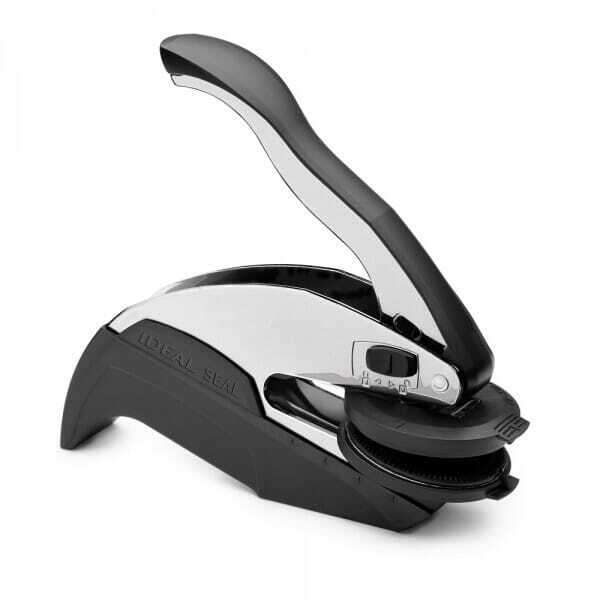 This corporate seal embosser can be used as a desk or compact pocket seal. It is packed with great features; ergonomic grip, "click" notification and versatile desk or hand use. It comes in a compact package for easy shipping and storage. Trodat Ideal seals work best with 20lb. bond paper. Customer evaluation "Oklahoma Notary Pocket Seal - 1-5/8 Diam. Round"
Custom Engraved Sign/Desk Holder Complete- Traditional 2" x 10"